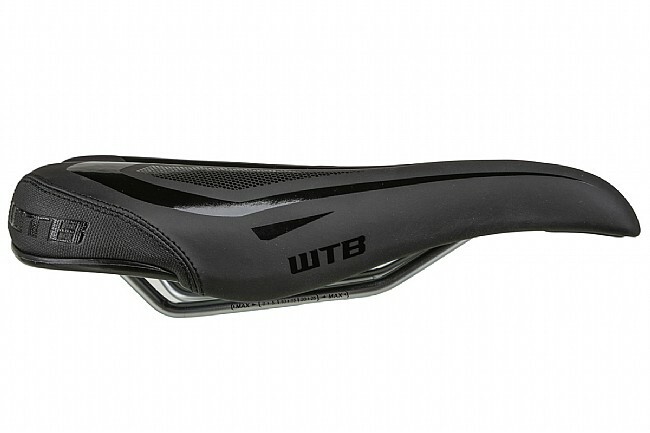 The WTB Speed Comp saddle offers WTB's Love-Channel and Comfort Zone to relieve pressure on sensitive tissues. Soft Shell has a rigid nylon frame with elastomers to provide suspension. 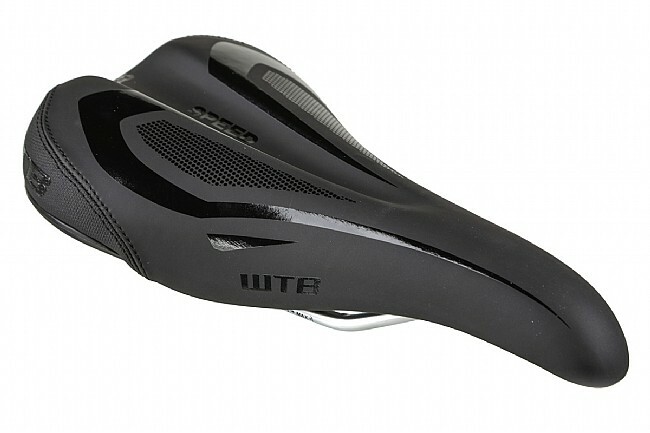 A comfortable saddle at a bargain price. Steel rails. Synthetic cover. 145mm Wide x 265mm Long. 369g. 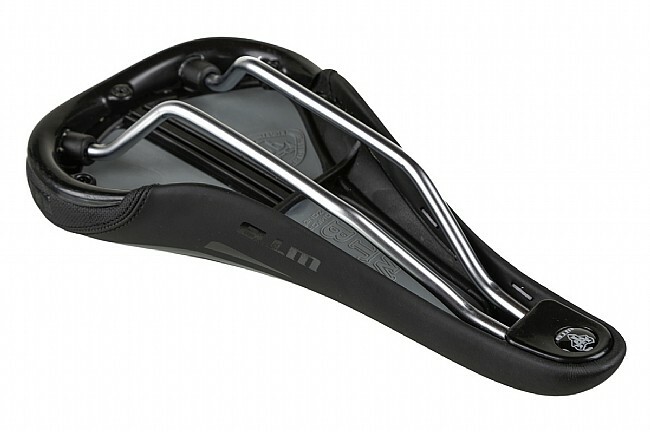 While the overall (maximum) width is just right for me - most racing saddles are too narrow and hard for me - and the paddingflex are appreciated, I found the triangular shape - i.e., the center of the saddle is noticeably wider than most saddles with the same (maximum) width - kind of irritating. The long rails are also welcomed, in being able to better adjust the foreaft positioning. Bought this for a clean-looking replacement seat for Karate Monkey. It's cushy and legit at a low price - can't beat! Not overly comfortable, but light. Could use a little more cushioning. I'm switching from a heavily padded, spring supported seat. Almost sent it back but my bum is getting used to it. A great seat for a steal of a price! It's a little stiff right now, but once my rear end gets used to riding again, it won't be an issue. Definitely worth it!! Used to replace stock WTB saddle on my Gary Fisher feels much better nice and firm lots of adjustment on rails, tried it from closeout list glad I did.